He’s making a list, checking it twice, gonna shoot anyone that hasn’t been Nice! 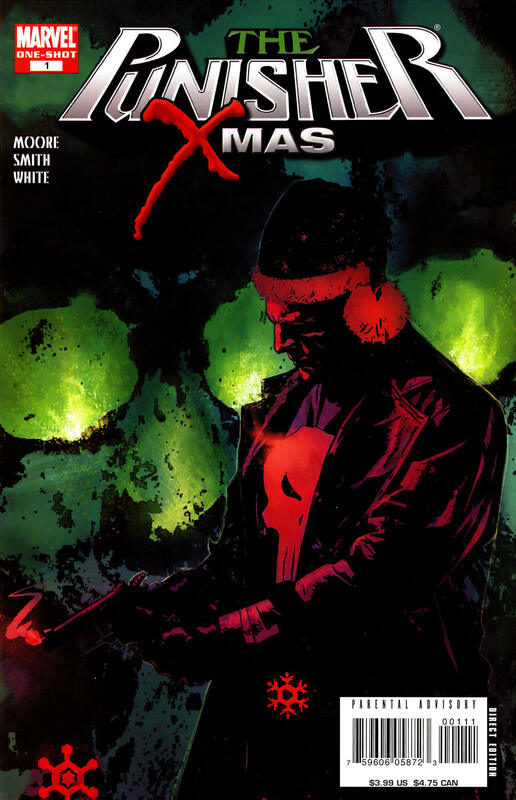 The Punisher is coming to town to sleigh… er, slay…those responsible for a little boy’s murder. Unfortunately, between a disgraced cop, a grieving single mother, and a fugitive lawbreaker, the line between Naughty and Nice has been blurred. This mystery’s as deep as a chimney and just as dirty, but when it leads to the Punisher’s final target, will he be able to pull the trigger? Put aside your lump of coal and glass of eggnog and unwrap the gift of holiday homicides, Punisher-style, by writer Stuart Moore and artist C.P. Smith (WOLVERINE).